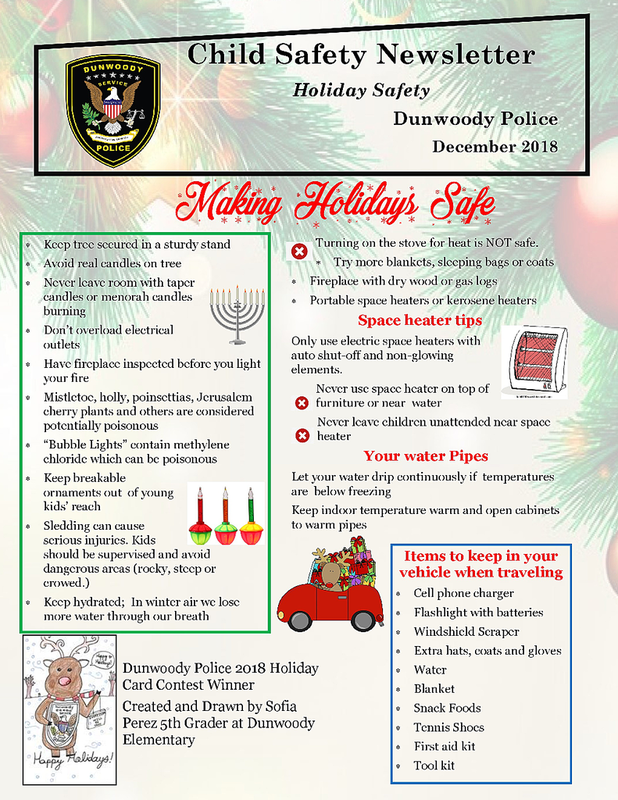 On December 13, 2018, several schools within the city of Dunwoody and DeKalb County received bomb threats prompting evacuations and lockdowns out of an abundance of caution. Dunwoody Police officers along with DeKalb County School Police responded to the schools. It’s that time of year again! A time for holiday cheer and gifts and… CRIME? Yes, crime. Criminals tend to strike more during the holiday season because they know there are many people out holiday shopping. We want you to BE ALERT and BE VIGILANT! DON’T LET CRIME RUIN YOUR CHRISTMAS! Watch Out for Porch Pirates: As more consumers look to the web to make their holiday purchases, packages dropped off on front porches and stoops provide “porch pirates,” or thieves, with more opportunity to intercept home deliveries. Preventing Burglaries – 17 tips from burglars! We have had a few burglaries in the Dunwoody area recently and we want to prevent these as much as possible. I want you to get into the minds of burglars and hopefully this can help each of you prevent these burglaries from occurring.